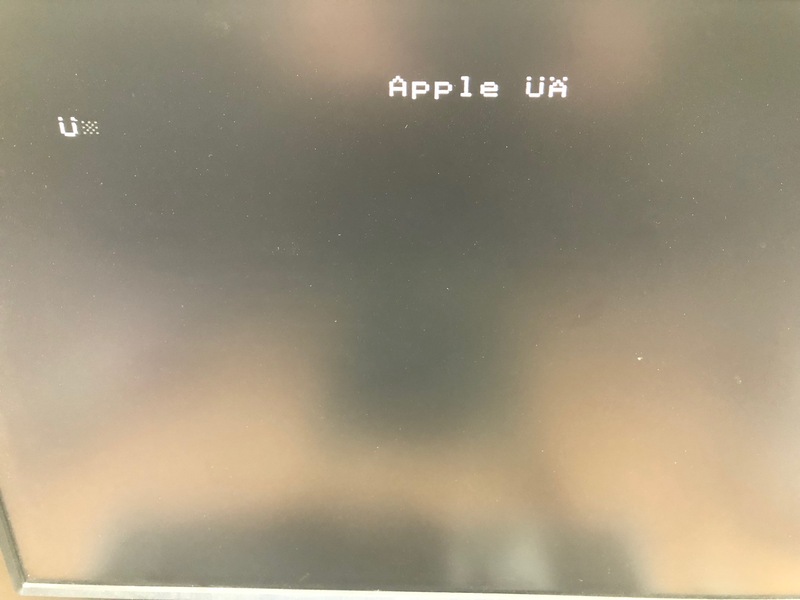 When i am powering on the device the start screen is showing " APPLE ÜÄ"
When I am doing the selftest it says "KERNEL OK". Is this just normal on german PAL versions or is there something faulty? Normal, due to difference in character set. The brackets ] and [ were sacrificed for some umlauts. There is a switch under the front of the case to switch to the A2 native US charset. Yes i found the switch now it is showing the right screen.